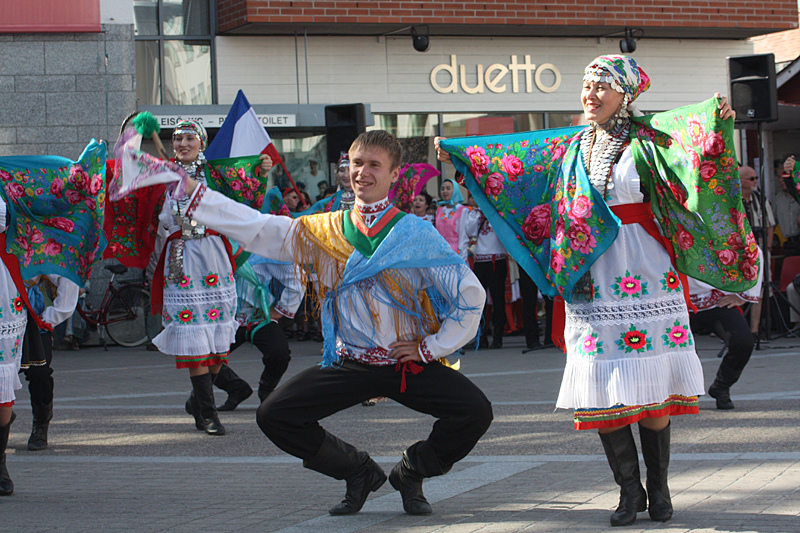 From 29 June to 3 July, the folklore festival “Jutajaiset” is taking place in the Finnish city of Rouvaniemi. 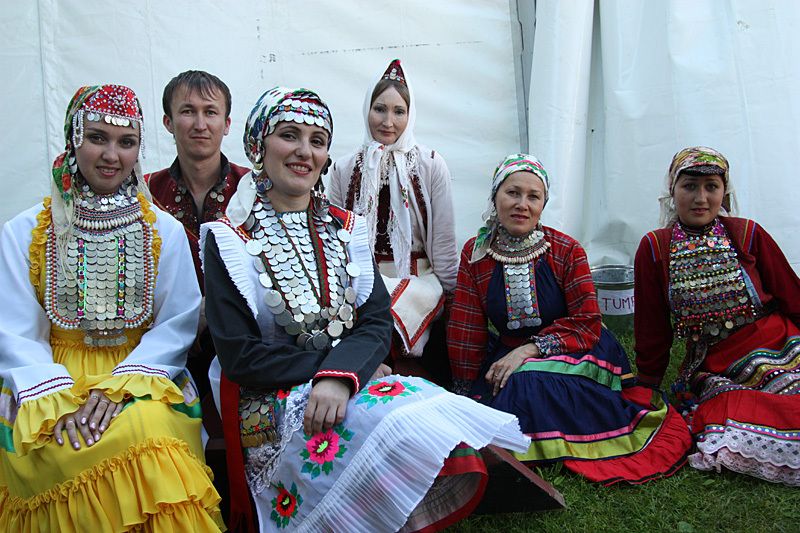 Among the participants at this festival is the Mari folklore ensemble “Mariy Pamash” from Yoshkar-Ola. Displayed are pictures from the festival’s website taken by Veikko Stöckel on the first two days of the festival. 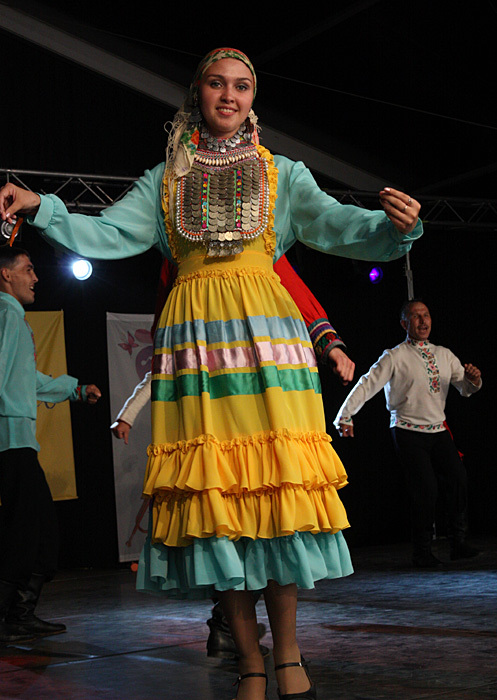 “Mari Spring” Ensemble, officially the Folk Ethnographic Company of the Republican Research and Methodical Center of the Folk Arts and Cultural Work, is founded in 1974. 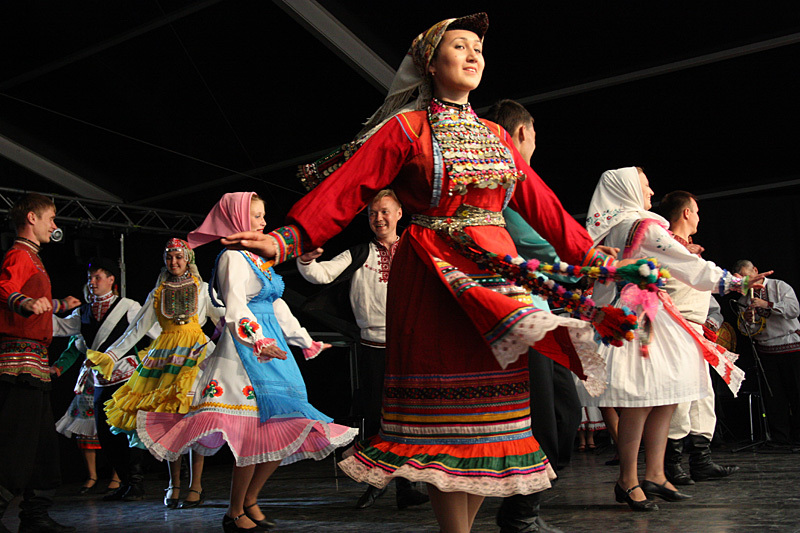 The mission of the group is to revive music and dance culture of every Mari ethnic group. 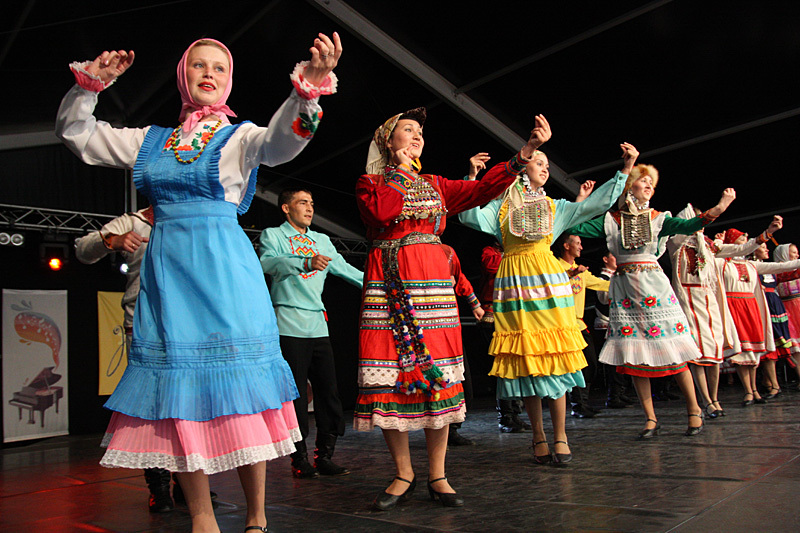 To preserve and develope the unique music and dance tradition, national costumes and to popularize the national traditions. 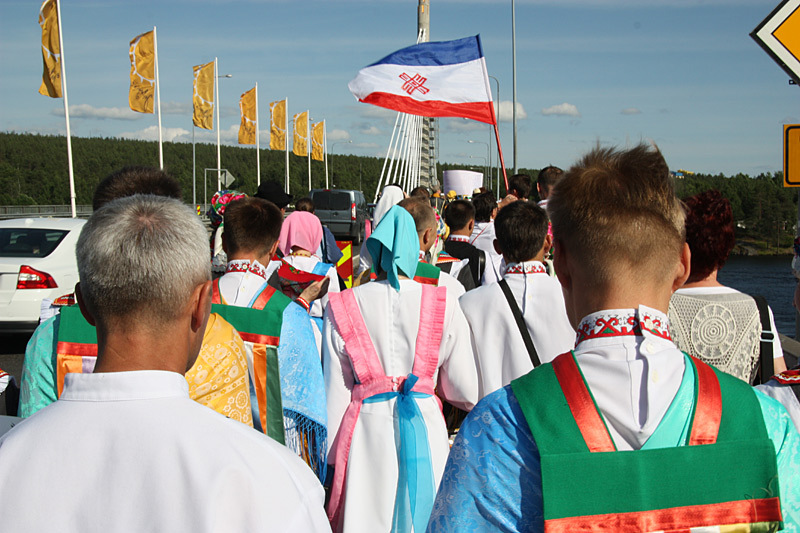 It has been rewarded by the State Youth Prize. 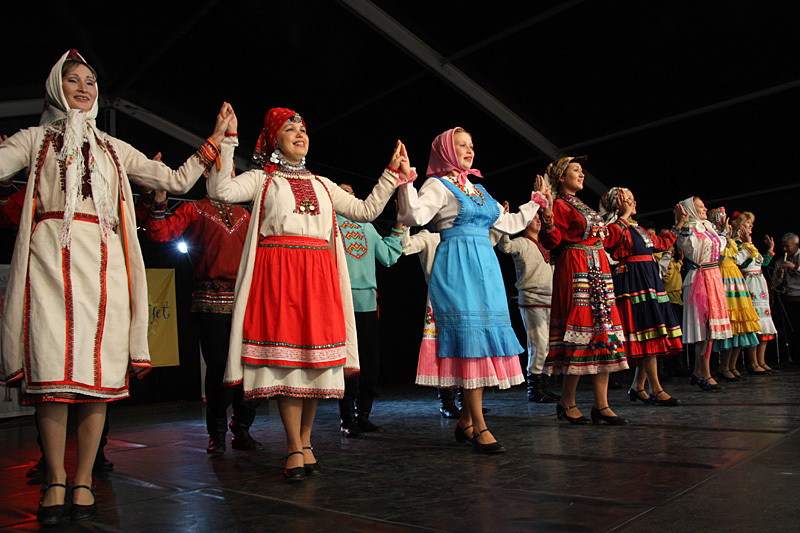 The group has participated in festivals in Holland, Spain, Finland, Hungary and Estonia and in the regions of the Mari people compact residence in republics of Bashkortostan, Tatarstan, Chuvas and Udmurtia and in other towns in Russian Federation. 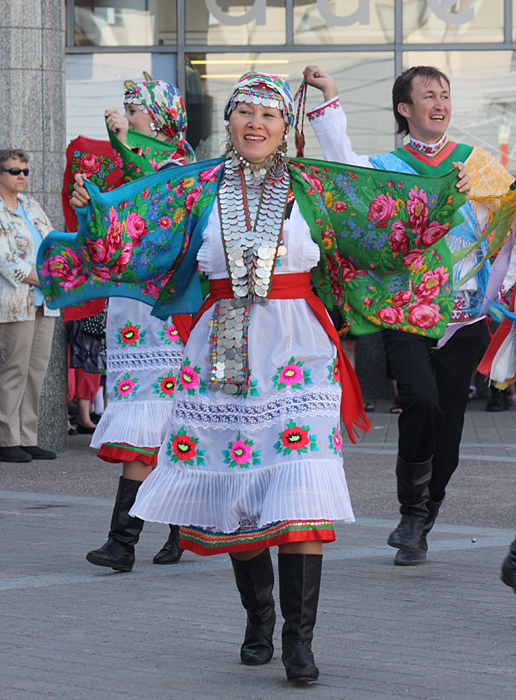 The artistic director and choreographer of the ensemble is Ms Maria Solovyeva. 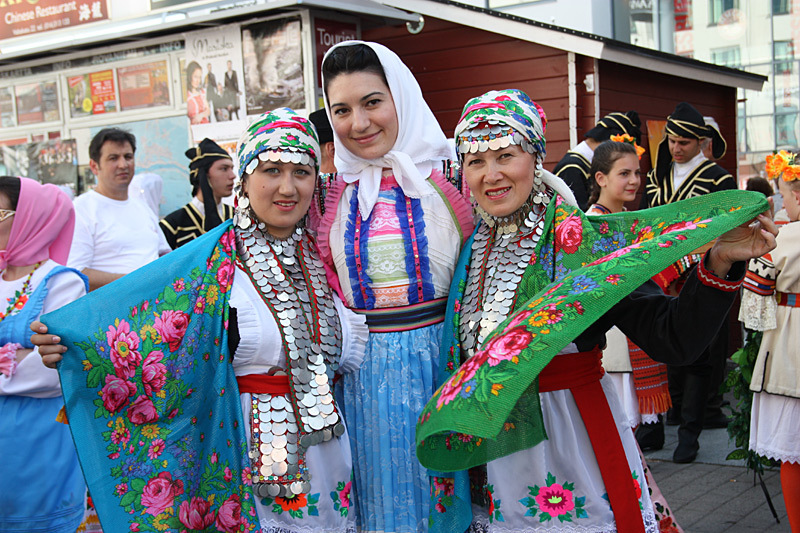 As a contact person of their visit has been Ms Olga Leontyeva from the Departmen of Media and Ethnic Affairs of the Cultural Ministry of Mari El Republic. This visit has been supported by the Kindred Peoples Programme of Ministry of Education.